FH AYRES some do refer to these horses as the 'Rolls Royce of horses' due to their fine carvings. 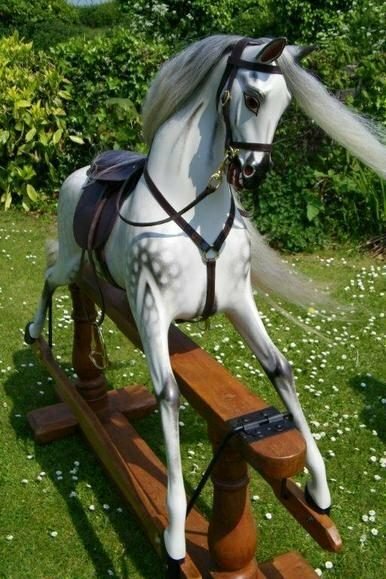 They do look different when they have been painted by various restorers and the original paint horses are very sought after. The business and factory of Frederick Henry Ayres, manufacturer, was situated at 111 Aldegate, London. From 1864, the firm built a reputation for its high quality sports goods and boards games as well as its rocking horses, which were produced in great numbers. 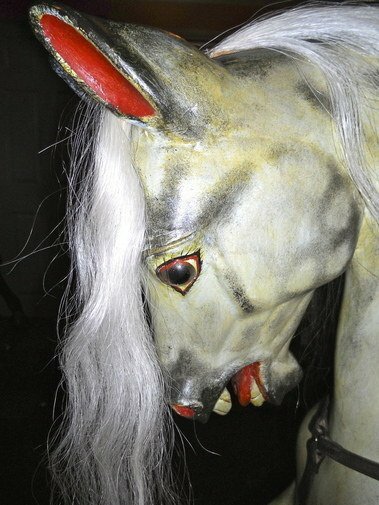 Some of the most beautiful and elegant English wooden horses to be found were made by this firm up to around 1914. 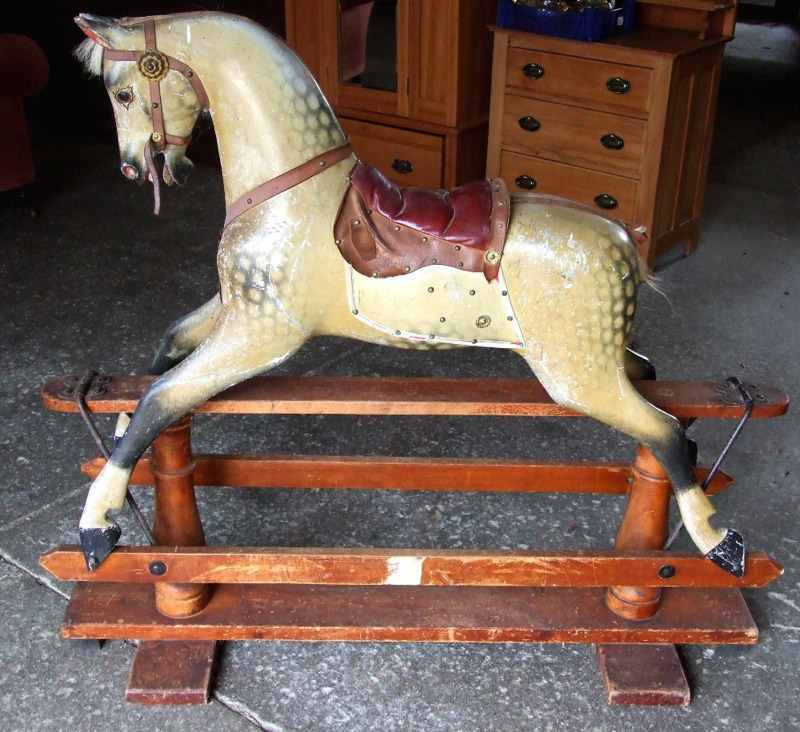 The additional carving seen on the more expensive models gave the Ayres horses a greater feeling of reality and spirit rivalled only by the 'extra carved' horses of makers like G&J Lines. 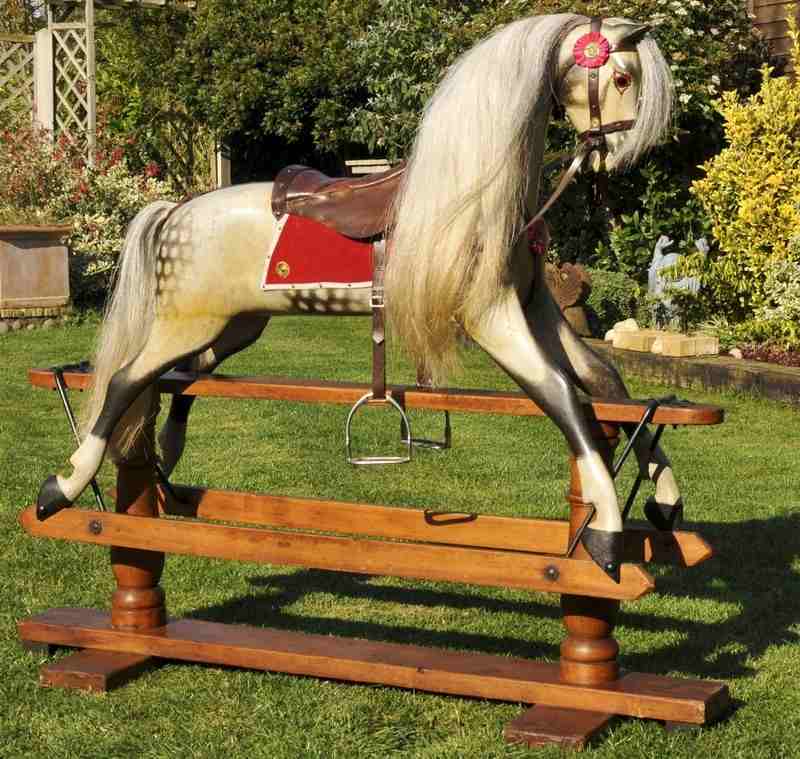 Although the Ayres production may not have been as large as that of the Lines fierm, their range did include horses in many sizes on bow rockers, swing-stands, spring rockers and tricycles and very probably a range of smaller wheeled horses as well. Whilst some FH Ayres horses were marked, most were not and the marks themselves varied from a simple stamp of the name (found under the belly of the horse) or a small plaque on the swing stand top, to theuse of symbols such as a Maltese Cross amidsst a Union Jack applied as a transfer to the stand base. From wording found ont eh base of the swing stands of some horses it is known that FH Ayres supplied the London Department Stores, Harrods in Knightsbridge, Selfridges, Oxford Street and other places as well. 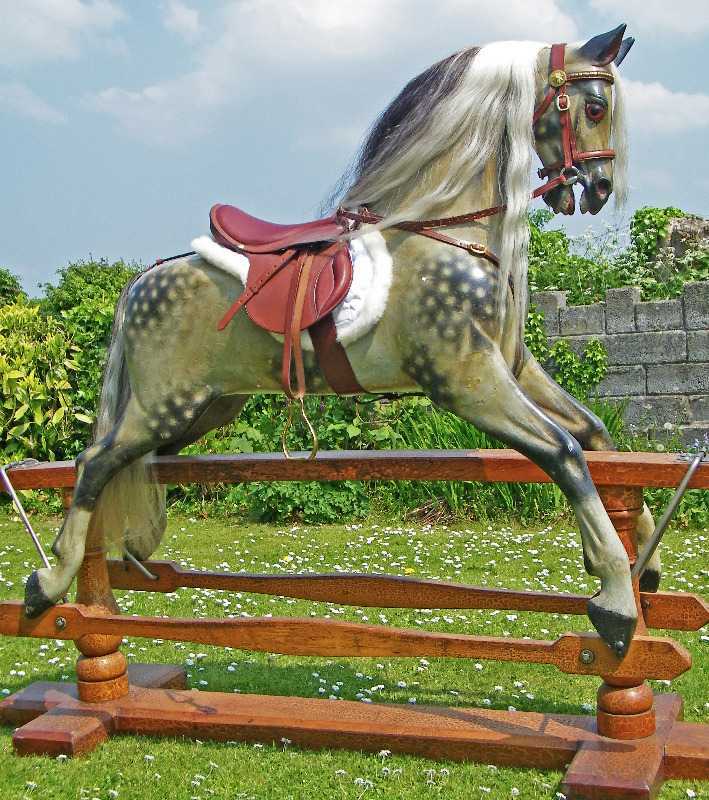 They are also thought ot have supplied "Bazaar" in London as the same engraving for the 'Hobby Horse' (advertisedf as American Hobby Horse which referred to the rocker design rather than the toy's country of manufacture), which appears in Harrods 1895 catalogue , it also appeared in the Bazaar catalogue of 1907. Back in 1895 the prices of these horses from Harrods ranged from eighteeen shillings for the No.3 size (1ft 11ins high x 3ft stand size) to fifty shillings for the No.7 size (2ft11in high x 5ft stand size). In 1940, FH Ayres Ltd was acquired by William Sykes Ltd and reformed. Interestingly, Frederick Ayres name was retained under the title of FH Ayres Athletic Co. which must surely have been a tribute to a name long associated with quality products. 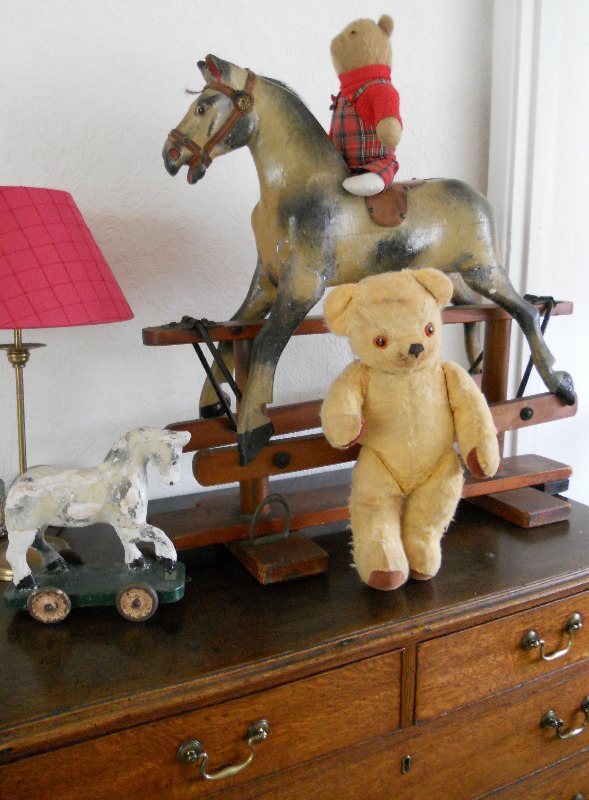 By that time rocking horse production had waned and very likely had already ceased. The best examples of Frederick Ayres horses remain those with graceful proportions and finely carved heads and necks from the nineteenth century to the early 1990s.